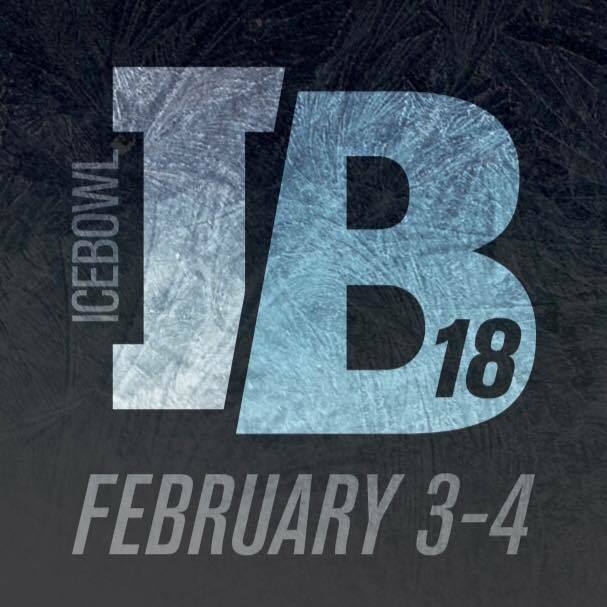 That's why this year we've gone crazy for the 2018 Ice Bowl and extended our competition from Saturday February 3rd into Sunday the 4th! Individuals competing on Saturday will have their choice of three divisions: Rx, Intermediate or Scaled. Teams competing on Sunday will consist of two men and two women in one catch-all division called Skilled. Here's the best part: You can compete as an individual on Saturday AND on a team on Sunday. Payouts are going to be crazy huge this year! We're paying out OVER $10,000 CASH for a full roster of athletes! Also, we will be doing a random drawing for all registrants, whether you're Individual or Team for the $500 Aurora BayCare Prize! There is no separate Masters division this year. We altered divisions by adding an Intermediate and allowing Masters athletes to join whichever of the three available divisions they’d like. In the past we would have a Masters division that was comparable to a mixture of Rx and Intermediate standards and that isolated any other Master that wasn’t at that level. With the new system, a Master can join any division that they’d like, even Scaled if they choose to. Below are the requirements to be successful in each division. We do not release workouts ahead of time, but you can get an idea of which WODs have difficult movements in them (not all movements are listed). Don't let the movements in the Finals deter you from that division; only the top 4 will participate from each division. For the latest event information you can check out the event's Facebook page https://www.facebook.com/theicebowl. Registration is NON REFUNDABLE, but you can transfer your spot to another athlete if you'd like. TEAMS: When registering, under "Name" section, write your team name. Have the Team Captain use their email and select 1 shirt size in the dropdown box, then list the other athlete's names and shirt sizes in the Additional Comments box. If you do not follow these instructions we will not order shirts for your whole team, only the person that registered and entered it into the dropdown box!